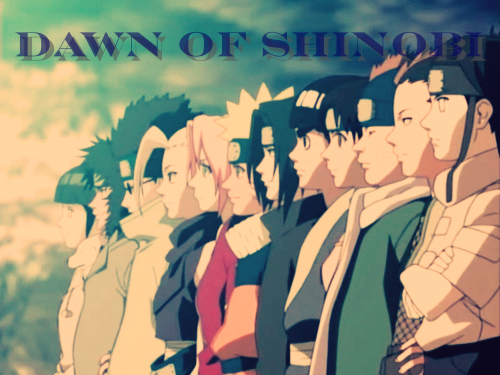 Background Description: The Kumosora Clan is a clan long descended from the Uchiha Clan that has been mutated greatly over time. This bloodline can only be awakened by a member of the Kumosora going through an ordeal so traumatizing that it breaks their mind, forever shattering the person they once were. Upon the member of the clan losing their mind the bloodline slowly begins to awaken within them. For those who the bloodline begins to awaken in they experience different changes in personality. The different changes in personalities within clan members effects some of the abilities of the bloodline as while members may have some abilities in common some would different because of the different personality changes. Some members like Kaisui may suffer a split in personality while others like Kyoshiro may experience a shift in personality. Depending on the individual and the type of personality change they experience a tattoo may appear on a different part of their body signifying the change their personality went through. In Kaisui's case the tattoo of a graveyard appears on his entire back. What makes this tattoo signify his changes is that it has a bolt of lightning streaking through the graveyard at an angle, on one side of the bolt of lightning shows a brightness shining down on the graves through an opening in a cloudy sky while underneathe the graves lies pure darkness. On the otherside of the lightning bolt shows demonic white flames rising from underneathe the graves bathing them in a soft unholy glow as a shroud of pure darkness rains down on them. As for Kyoshiro's it's a tower of darkness surrounded by complete darkness that you only know is there because of the icy glow outlining it on his upper right arm. The disadvantages of this bloodline for those with split personalities is that without proper control of the shifting btw personality, the shifting becomes random and while this maybe a good thing if your goodside was in control at the start of a battle, if you evil side was in control and a shift was to occure it would provide the enemy with twenty second window where the user would suffer a dizzy spell as they lose all access to their chakra for that time frame and even if they gain control of their shifting they still suffer the dizzy spell and twenty second loss of chakra which sometimes can prove fatal if the user isn't skilled enough to battle even when dizzy. For those who become completely evil they may become possesed by their own power which may either destroy them if they ever suffer a moments weakness or cause them to overestimate their abilities which can prove fatal. Elements: All members possess the element of darkness, though the bloodline may give them their own personal element unique only to them depending on how they awakened the bloodline. Users may posses the normal chakra affinities as well tho more than one of it is rare. Bloodline: Will of Darkness - For those completely evil their eyes go completely black and reflects all the users individual elements within them when activated. 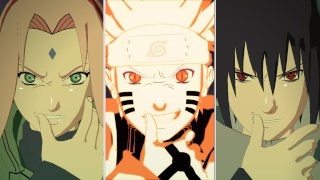 In this state they have access to extremely powerful jutsu and are immune to all form of genjutsu except those of the sharingan. For those with split personalities their eyes only show a reflection of their elements unless the evilside is in control. When the good side is in charge they only are immune to genjutsu B rank and below. This look of the bloodline changes for all personalities when it is completely mastered. The eyes remains all black but do not reflect the users elements, instead it reveals a crimson iris. Looking deep withing the iris you see normal white flames, then when the user is angry the flames become a blazing white inferno. It seems a little much in my opinion. But I am but one Admin. Seek out the opinion of at least two other Admins. If they both say it is okay, I think it should be fine to add. We gets no love here. That's not cool. Approved but if you want a forum for it you must get at least 5 more members. And those weaknesses; all depend on how suicidal you are in RP... and from past experience, I doubt many people will actually use the disadvantages nearly as much as the advantages. And the bloodline powers? Seems to be limitless... you didn't mention any limit to how long the bloodline can be activated. Lots of inbalances are there too, which seem strange to me. If you truly had a good side and bad side, that is, bad karma and good karma, why would your good karma ever resort to fighting? Very well thought out, but I don't know really, would be hard to beat one of this bloodline... VERY hard. the good side resorts to fighting for entertainment and to sharpen itself as it finds the best way to discover who someone is to fight them. The good side also isn't murderous and would only kill if there is absolutely no other choice tho must often the evil side feels disgusted by the lack of the will to kill and takes control to get the job done. Also both sides know there are times when to be good you have to become evil and vice versa. P.S. I usually always switch back and forth btw sides just atm trying not to kill tho I'm going be switching sides again soon. My good side types in red and the evil side dark red so that ppl will know the difference. As for how long the doujutsu part can stay active works just like the sharingan in came from it depends on the skill of the user. For me right now since I'm rp'ing as a 13 yr old tho I'm a prodigy the limit to how long I can keep the the complete doujutsu active is 4 post and 8 post when its the incomplete or begin stage of it. I haven't completely mastered the doujutsu as yet so I don't posses it's most powerful form and I will be posting it's training every now and again to improve my abilities with it and that way everyone can see it and can't complain if I ever use it against someone. I will post it's training the same I'll post learning a new element or creating a new jutsu. And I do things most would consider suicidal. However who my twin Kyoshiro chooses to rp with it is on him and if anyone else wants to be part of our clan and posses our bl pm me. Description: By first charging a small amount of chakra into a sword and then unsheathing it at blinding speeds, the user is able to cut down opponent both far and close by unleashing a volley of dimension orbs that slices up anything it touches.The amount of orbs unleashed depends on the skill of the user. If the user is skilled enough once the amount of orbs unleashed passes four the user would disappear into the orbs to add to the cutting and destructive power of this technique. Note this technique can still be avoid but it would take some extreme skill on the part of the opponent to dodges this attack. Description: By first charging a small amount of chakra into a sword and then unsheathing it at blinding speeds, the user is able to cut through dimensional barriers unleashing a vortex of destruction when brought into existence away from the user and a slicing cyclone when the user is its place of origin. Note this technique can still be avoid but it would take some extreme skill on the part of the opponent to dodges this attack. No ranked justsu XD lmao w/e. The staff I will openly admit have no brains if they accept this.